Imagine that you are walking with your friend through the forest, and suddenly you find yourselves next to a bush filled with red berries. Let’s suppose that you know a lot about different plants, and you immediately recognise that these berries are not only red berries, but that they are also dangerous. In fact, they are poisonous. However, you can see the sparkle in your friend’s eyes, and that he is already reaching towards the berries to replenish his energy levels after the long walk. What do you do? Well, if you would like to save the life of your friend, or at least prevent him from an unpleasant experience, you would warn him. You would do this because you understand that he believes that these berries are good to eat, and you know that he wouldn’t go for these berries if he knew that they were dangerous. From this example and other everyday experiences, we can see that humans possess highly sophisticated abilities to ‘read’ others’ minds. This ability, called the Theory of Mind (ToM), enables us to attribute mental states to others, and to make predictions and draw inferences from their behavior and actions to their mental states. It is therefore essential for social interactions, because it underpins our being able to effectively coordinate and communicate with others. Researchers have been investigating this ability’s characteristics for decades, and much of this research has focused on when and how it develops. In this post, I will propose that one avenue for making progress in resolving open questions about the development of ToM can be made by appealing to when we use ToM. Since Dennett (1978) pointed out that attributing true beliefs to others cannot be empirically distinguished from agents simply making predictions about the actions of others on the basis of their own knowledge and beliefs about the world, the conventional test for ToM became probing false belief (FB) understanding. One typical way to test for the understanding of false beliefs in children is the location-change task (Wimmer & Perner 1983; Baron-Cohen, Leslie & Frith, 1985). In such a standard false belief task, participants are exposed to a story in which the main character has a false belief regarding a location of an object (as a second character changed its location while she was absent). When to explicitly indicate where the first character will look for the object, children typically fail to take into account her false belief before the age of 4, answering (or pointing) towards the new (actual) location of the object (Wimmer & Perner, 1983, Perner, Leekam & Wimmer, 1987). There has been an ongoing debate as to whether the ability to understand others’ (false) beliefs is early developing, or whether it develops only from around the age of 4 with the emergence of other abilities, e.g. executive function and language (see for example Slade & Ruffmann, 2005). Two main lines of research have collected evidence either for or against these statements. One line of research which uses implicit measures of false-belief understanding, mostly influenced by Leslie’s theory on pretence (Leslie, 1987), suggests that infants are sensitive to others’ beliefs from very early on. For example, Onishi and Baillargeon (2005) found evidence of false-belief understanding in 15-month-olds using a violation of expectations paradigm (see Scott & Baillargeon, 2017 for a review on this research). The other line of research instead suggests that full-blown ToM develops only after the age of 4. This line of research attempts to explain positive findings with younger infants by appealing to either low level cues (e.g. Heyes, 2014), or a minimal ToM account (Apperly & Butterfill 2009) which proposes that an early developing system is rich enough to represent belief-like states only (but not beliefs per se). How can this puzzle regarding early mind reading be solved? One may ask: if there is a conceptual change around the age of 4, then what exactly happens around that time that allows or triggers such change? I will suggest that focusing on why ToM is crucial in several aspects of our everyday social lives (from language development and communication, to cooperation and altruistic behaviour) may provide a means of answering this question. Can the basic ability to track others’ mental states contribute to language acquisition? Some experimental evidence supports the hypothesis that, from a relatively early age, infants are sensitive to semantic incongruity. That is, they understand when an object is labelled incongruently from its real meaning (e.g. Friedrich & Friederici, 2005; 2008). A study by Forgács and colleagues (2018) investigated whether infants would track such semantic incongruities by others’ perspectives. They measured 14-months-olds event-related potential (ERP) signals, and found that infants show N400 activation (a well-established neuropsychological indicator of semantic incongruity) not only when objects are incongruently labelled from their own viewpoint, but also from their communicative partner’s point of view (see also Kutas & Federmeier, 2011; Kutas & Hillyard, 1980). These findings suggest that infants track the mental states of social partners, keep such attributed representations updated, and use them to assess others’ semantic processing. This study can further be taken as indicating that representational capacities (such as those required for belief ascription) are present at 14-month-olds in a communicative context. Such belief attribution in similarly young infants can also be observed in ostensive-communicative inferential contexts. In a study by Tauzin and Gergely (2018), infants’ looking time was measured during the observation of unfamiliar communicative agents; children needed to interpret the turn-taking exchange of variable tone sequences, which was indicative of communicative transfer of goal relevant information from a knowledgeable to a naïve agent. In their experiments, infants observed the following interaction: one of the agents placed a ball in a certain location, and later saw the ball moving to a different location. The other agent, who had not observed the location-switch, later tried to retrieve the ball. Based on their looking times, infants only expected the ball-retrieving agent to go to where the ball really was if the first agent (who observed the location-switch) communicated the transfer. Based on these findings, the authors suggested that 13-months-old infants recognised these turn-taking exchanges as communicative information transfer, suggesting that they can attribute communication-based beliefs to other agents if they can infer the relevant information that is being transmitted. Besides playing a role in children coming to understand important aspects of communication, ToM may play a crucial part in cooperation and altruistic behaviour. The question as to how ToM relates to, for instance, instrumental helping, has received relatively little attention. One of the first studies probing the relationship between false belief understanding and helping comes from Buttelmann, Carpenter and Tomasello (2009). During their experiments, infants observed a protagonist struggling to open a box in order to obtain a toy. In the critical part of the experiment the toy was moved by another agent from its initial box to a different box. The protagonist either observed this move, or had left the room. When the main protagonist had left the room and then tried to open the box which initially contained the toy, infants spontaneously helped him by indicating that he should try to open the alternative box instead. However, when the main protagonist observed the location-switch, infants helped him open the initial box. This suggests that by 18 months of age, helping behaviour is guided by the beliefs of the helpee. This study, amongst others (see also Matsui & Miura, 2008), support the hypothesis that representing others’ mental states is a key feature for helping and cooperating, and that infants are capable of taking into account others’ beliefs when helping spontaneously from very early on. The ability to represent others’ mental states plays a crucial part in our social lives. Understanding what others think is important not only for high-level cooperative or competitive problem solving, but even in smaller day-to-day social interactions when we need to act fast (e.g., preventing our friends from coming to harm during a walk). The studies discussed here suggest that from a relatively early age, humans are able to adjust their helping behaviour on the basis of others’ beliefs, and the beliefs of others may shape children’s understanding of communicative episodes. Future research may do well to keep in mind that when it comes to ToM, social context seems to matter. Apperly, I. A., & Butterfill, S. A. (2009). Do humans have two systems to track beliefs and belief-like states?. Psychological review, 116(4), 953. Baron-Cohen, S., Leslie, A. M., & Frith, U. (1985). Does the autistic child have a “theory of mind”?. Cognition, 21(1), 37-46. Buttelmann, D., Carpenter, M., & Tomasello, M. (2009). Eighteen-month-old infants show false belief understanding in an active helping paradigm. Cognition, 112(2), 337-342. Dennett, D. C. (1978). Beliefs about beliefs [P&W, SR&B]. Behavioral and Brain sciences, 1(4), 568-570. Forgács, B., Parise, E., Csibra, G., Gergely, G., Jacquey, L., & Gervain, J. (2018). Fourteen‐month‐old infants track the language comprehension of communicative partners. Developmental science, e12751. Friedrich, M., & Friederici, A. D. (2005). Lexical priming and semantic integration reflected in the event-related potential of 14-month-olds. Neuroreport, 16(6), 653-656. Friedrich, M., & Friederici, A. D. (2008). Neurophysiological correlates of online word learning in 14-month-old infants. Neuroreport, 19(18), 1757-1761. Heyes, C. (2014). Submentalizing: I am not really reading your mind. Perspectives on Psychological Science, 9(2), 131-143. Kutas, M., & Federmeier, K. D. (2011). Thirty years and counting: Finding meaning in the N400 component of the event-related brain potential (ERP). Annual Review of Psychology, 62, 621–647. Kutas, M., & Hillyard, S. A. (1980). Reading senseless sentences: Brain potentials reflect semantic incongruity. Science, 207(4427), 203–205. Matsui, T., & Miura, Y. (2008). Pro-social motive promotes early understanding of false belief. Onishi, K. H., & Baillargeon, R. (2005). Do 15-month-old infants understand false beliefs?. science, 308(5719), 255-258. Perner, J., Leekam, S. R., & Wimmer, H. (1987). Three‐year‐olds’ difficulty with false belief: The case for a conceptual deficit. British journal of developmental psychology, 5(2), 125-137. Scott, R. M., & Baillargeon, R. (2017). Early false-belief understanding. Trends in Cognitive Sciences, 21(4), 237-249. Tauzin, T., & Gergely, G. (2018). Communicative mind-reading in preverbal infants. Scientific reports, 8(1), 9534. Slade, L., & Ruffman, T. (2005). How language does (and does not) relate to theory of mind: A longitudinal study of syntax, semantics, working memory and false belief. British Journal of Developmental Psychology, 23(1), 117-141. Wimmer, H., & Perner, J. (1983). Beliefs about beliefs: Representation and constraining function of wrong beliefs in young children’s understanding of deception. Cognition, 13(1), 103-128.
Who do you think you are? Or, less confrontationally, what ingredients (e.g. memories, beliefs, desires) go into the model of your self? In this post, I explore different conceptions of how the self is represented in the predictive processing (PP) framework. At the core of PP is the notion that the brain is in the business of making predictions about the world, and that the brain is primarily an organ that functions to minimize prediction error (i.e. the difference between predictions about the state of the world and the observed state of the world) (Clark, 2017, p.727). Predictive processing necessitates modeling the causes of our sensory perturbations and since agents themselves are also such causes, a self-model is required under PP. The internal models of the self will include “…representations of the agent’s own body and its trajectories and interactions with other causes in the world” (Hohwy & Michael, 2017, p.367). In this post I will discuss accounts of how the self is modelled under two PP camps: Conservative PP and Radical PP. Broadly speaking, Conservative PP holds that the mind is inferentially secluded from the environment – the body also forms part of the external environment. All prediction error minimization occurs behind an ‘evidentiary boundary’ which implies that the brain reconstructs the state of the world (Hohwhy, 2016, p.259). In contrast, Radical PP holds that representations of the world are a matter of embodied and embedded cognition (Dolega, 2017, p.6). Perceiving my self, other agents, and the world, is not a process of reconstruction but rather a coupled process between perception and action. How does the view of a self-model align with these versions of predictive processing? I will argue that Radical PP’s account of self-modelling is preferable because it avoids two key concerns that arise from Conservative PP’s modeling of the self. On the side of Conservative PP, Hohwy & Michael (2017) conceive of the self-model as one that captures “…representations of the agent’s own body…” as well as hidden, endogenous causes, such as “…character traits, biases, reaction patterns, affections, standing beliefs, desires, intentions, base-level internal states, and so on” (Hohwy & Michael, 2017, p.369). On this view, the self is just another set of causes that is modeled in order to minimize prediction error. This view likens the model of the self to models of the environment and other people (and their mental states), and is in line with the Conservative PP account advocated by Hohwy (2016) under which there is an ‘evidentiary boundary’ between mind and world, behind which prediction error minimization takes place. Any parts of our body “…that are not functionally sensory organs are beyond the boundary… [and are] just the kinds of states that should be modeled in internal, hierarchical models of a (prediction error minimization) system.” (Hohwy, 2016, p.269). 1) Our access to information about our own body is neglected by Conservative PP. Agents typically have access to certain information about their body that is immune to error through misidentification; this immunity does not extend to information about the world and other agents. 2) Conservative PP ignores the marked difference in how we represent ourselves and other agents. Other agents can only enter our intentional states as part of the content, whereas we ourselves can also enter our intentional states in another way. In dealing with these concerns I propose that the self is represented along two dimensions: as-subject and as-object (a distinction that can be traced back to Wittgenstein’s Blue Book, and which can be fleshed out by appeal to debates on reference and intentionality). The fundamental idea here is that there is a certain kind of error – in identifying the person that something is true of (e.g. a bodily position or a mental state) – that can occur when identifying the self as-object which cannot occur in identifying the self as-subject (Longuenesse, 2017, p.20; Evans 1982). Imagine that I perceive a coffee mug in front of me, and once I have seen it I reach out my hand to grasp the mug in order to drink from it. Now envision a similar situation, in which I am acting like this while at the same time looking at myself in a mirror. In the latter situation I have two sources of information for obtaining knowledge about myself grasping the cup of coffee. One source of information is proprioceptive and kinesthetic, and therefore provides me with information about myself from the inside. The other source of information is visual, and provides me with information from the outside. The latter source could provide me with information about the actions of other agents as well, whereas the former can only be a source of information about my own self. Since I am represented in the content of my visual experience in the mirror scenario, I can misrepresent myself as the intentional object of that very visual experience. I could be mistaken with respect to whom I am seeing in the mirror grasping the coffee mug; I may mistakenly believe that I am in fact observing someone else grasping the cup. No such mistake is possible in the contrast case, in which I gain information about grasping the mug from a proprioceptive and kinesthetic source. A more radical example of this distinction between self as-object and as-subject comes from individuals with somatoparaphrenia. Such individuals do not identify some parts of their body as their own, e.g. they may believe that their arm belongs to someone else, but they are not mistaken about who is identifying their arm as belonging to someone else (Kang, 2016; Vallar & Ronchi, 2009). Recanati (2007, pp.147-148) spells out this difference by distinguishing between the content and mode of an intentional state: “The content is a relativized proposition, true at a person, and the internal mode determines the person relative to which that relativized content is evaluated: myself”. With this distinction in mind, the problems with Conservative PP becomes clear: the agent and their body are not represented in the same way as any other distal state in the world. Instead of the agent and their body only forming part of the content of an intentional state (as Hohwy & Michael’s account would imply), they enter the state through the mode of perception as well. Clark (2017, p.729) provides an analogy that illustrates the first problem with self-modeling under Conservative PP: “The predicting brain seems to be in somewhat the same predicament as the imprisoned agents in Plato’s “allegory of the cave”.” That is, under Conservative PP, distal states can only be inferred by the secluded brain, just as the prisoners in the cave can only infer what the shadows on the walls are shadows of. The consequence of this is that we have no direct (and, therefore, error-immune) access to our own bodies. However, as has been illustrated above, the self enters intentional states through mode (perceiving, imagining, remembering, etc.) as well as content, and this provides us with certain information that is immune from error. In contrast, Radical PP does not conceive of the body as a distal object. Instead, the agent’s body plays an active role in determining the sensory information that we have access to; it plays a fundamental role in how we sample, and act in, the world. This active role is such that certain information is available to us error free – even if I am mistaken about another agent grasping the cup, I cannot be mistaken that it is me that is seeing someone grasp the cup. In this sense, Radical PP provides us with a preferable story about how whole embodied agents are models of the environment and minimize prediction error through a variety of adaptive strategies (Clark, 2017, p.742). 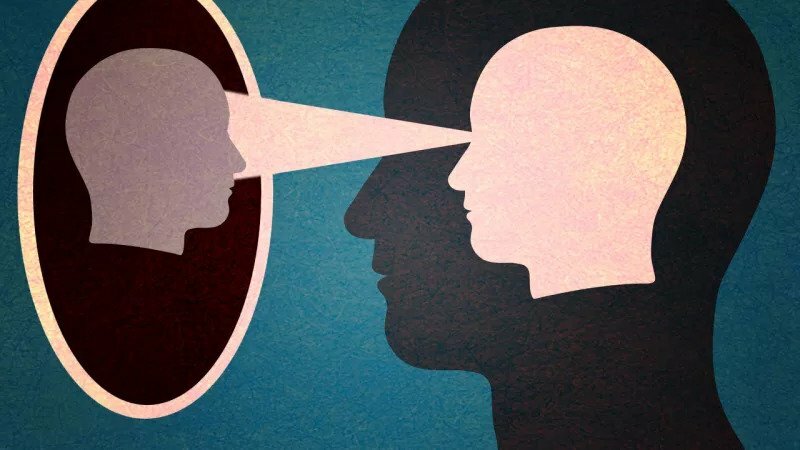 The two dimensions of self can also shed light on the second concern with Conservative PP because this distinction illustrates how we perceive and interact with other agents. As discussed above, the self as-object enters intentional states as part of the content, and the self as-subject enters such states through mode. The world, including other agents and their mental states, only ever form part of the content of our intentional states. Referring back to the example spelled out above: another agent can only ever play the same role in perception as I do in the mirror case, i.e. as content of the intentional structure. I do not have access to other agents “from the inside,” however. For instance, I do not have the same access to the reasons behind others’ actions (are they grasping the cup to drink from it, to clear it from the table, to see if there is still coffee in it? 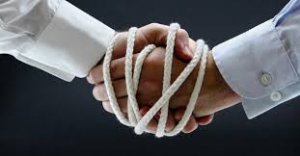 ), nor do I have access to whether the other agent will successfully grasp the mug (is their grip wide enough, do they have enough strength in their wrist?). There is thus a dimension of the self to which one has privileged access. We only have access to other agents through perceptual inference (i.e. by observing their behavior and inferring its causes), whereas we have both perceptual and active inferential access to our own behaviours. Though Conservative PP proponents maintain that the secluded brain only has perceptual inferential access to our own body (Hohwy, 2016, p.276), there is something markedly different in what enables us to model the causes of our own behavior and mental states to that of other agents. I have proprioceptive, kinesthetic, and interoceptive access to information about myself; I only have exteroceptive information about other agents. For Conservative PP, the body (and by extension, the self) is just another object in the world that receives commands to act in service of prediction error minimization. I have highlighted two concerns about this view: the body is treated as a distal object, and the body (and self) placed on the same side of the evidentiary boundary as other agents. This means that the dimension of self which is immune to error through misidentification is not accommodated, and the marked difference in our access to information about our own states and those of other agents is ignored. Radical PP, however, avoids both concerns by taking into account the two representational dimensions of the self and employing an embodied approach to cognition. The Radical PP account therefore provides a more refined version of self-modeling. My beliefs, desires, and bodily shape can all be inferred in the model of self-as-object, but self-as-subject captures the part of the self that is not inferred: it contains information about me and my body from the inside, which is an essential part of who we think we are. Clark, A., 2017. 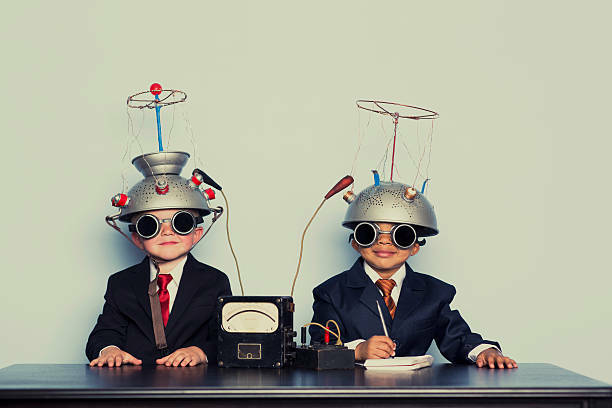 Busting Out: Predictive Brains, Embodied Minds, and The Puzzle of The Evidentiary Veil. Noûs, 51(4): 727-753. Dolega, K., 2017. Moderate Predictive Processing. In T. Metzinger & W. Wiese (Eds.) Philosophy and Predictive Processing. Frankfurt Am Main: MIND Group. Evans, J., 1982. The Varieties of Reference. Oxford: Clarendon Press. Friston, K. J. and Stephan, K. E., 2007. Free-energy and the Brain. Synthese, 159(3): 417-458. Hohwy, J., 2016. The Self-Evidencing Brain. Noûs, 50(2): 259-285. Hohwy, J. and Michael, J., 2017. Why Should Any Body Have A Self? In F. de Vignemont & A. Alsmith (Eds.) The Subject’s Matter: Self-Consciousness And The Body. Cambridge, Massachusetts: MIT Press. Kang, S. P., 2016. Somatoparaphrenia, the Body Swap Illusion, and Immunity to Error through Misidentification. The Journal of Philosophy, 113(9): 463-471. Longuenesse, B., 2017. I, Me, Mine: Back To Kant, And Back Again. New York: Oxford University Press. Michael, J. and De Bruin, L., 2015. How Direct is Social Perception. Consciousness and Cognition, 36: 373-375. Recanati, F., 2007. Perspectival Thought: A Plea For (Moderate) Relativism. Clarendon Press. Thompson, E. and Varela, F. J., 2001. Radical Embodiment: Neural Dynamics and Consciousness. Trends in Cognitive Sciences, 5(10): 418-425. Vallar, G. and Ronchi, R., 2009. Somatoparaphrenia: A Body Delusion. A Review of the Neuropsychological Literature. Experimental Brain Research, 192(3): 533-551. Wittgenstein, L. 1960. Blue Book. Oxford: Blackwell. What is pain? At first glance this question seems straightforward – almost everyone knows what it feels like to be in pain. We have all felt that shooting sensation when hitting the funny bone, or the dull throb of a headache after a stressful day. There is also much common ground within the scientific community with respect to this question. Typically, pain is taken to be best defined as a certain kind of mental phenomenon experienced by subjects as pain. For instance, this corresponds to the (still widely accepted) definition of pain given by the International Association for the Study of Pain (1986). Most cognitive scientists are not merely interested in knowing that various phenomenal experiences qualify as pain from a first-person perspective, however. Instead, pain researchers primarily focus on searching for necessary and sufficient conditions for pain, such that a theory can be developed which allows for informative discriminations and ideally far-reaching generalizations. Pain has proven to be a surprisingly frustrating object of research in this regard. In the following, I will outline one of the main reasons for this frustration, namely the lack of a sufficient and necessary neural correlate for pain. Subsequently, I will briefly review three solutions to this challenge, arguing that the third is the most promising option. Neuroscientifically speaking, pain is typically understood as an integrated phenomenon which emerges with the interaction of simultaneously active neural structures that are widely distributed across cortical and subcortical areas (e.g. Apkarian et al., 2005; Peyron et al., 1999). Interestingly, and perhaps surprisingly, the activation of these neural structures is neither sufficient nor necessary for the experience of pain (Wartolowska, 2011). Those neural structures that are highly correlated with the experience of pain are not pain-specific (e.g. Apkarian, Bushnell, & Schweinhardt, 2013), and even the activation of the entire neural network is not sufficient for pain. For instance, itch and pain are processed in the same anatomically defined network (Mochizuki & Kakigi, 2015). There also does not seem to be any neural structure whose activation is necessary for pain (Tracey, 2011). Even patients with substantial lesions in those neural structures that are often regarded as most central for pain processing are still able to experience pain (e.g. Starr et al., 2009). Figure 1 Human brain processing pain, retrieved from Apkarian et al. (2005). Original picture caption: Cortical and subcortical regions involved in pain perception, their inter-connectivity and ascending pathways. Location of brain regions involved in pain perception are color-coded in a schematic drawing and in an example MRI. (a) Schematic shows the regions, their inter-connectivity and afferent pathways. The schematic is modified from Price (2000) to include additional brain areas and connections. (b) The areas corresponding to those shown in the schematic are shown in an anatomical MRI, on a coronal slice and three sagittal slices as indicated at the coronal slice. The six areas used in meta-analysis are primary and secondary somatosensory cortices (SI, SII, red and orange), anterior cingulate (ACC, green), insula (blue), thalamus (yellow), and prefrontal cortex (PC, purple). Other regions indicated include: primary and supplementary motor cortices (M1 and SMA), posterior parietal cortex (PPC), posterior cingulate (PCC), basal ganglia (BG, pink), hypothalamus (HT), amygdala (AMYG), parabrachial nuclei (PB), and periaqueductal grey (PAG). Given the difficulties of characterizing pain by appeal to unique neural structures or a specialized network, some researchers have attempted to characterize pain by appeal to neurosignatures. ‘Neurosignature’ refers to the spatio-temporal activity pattern generated by a network of interacting neural structures (Melzack, 2001). Thus, neurosignatures are less about the mere involvement of an anatomically defined neural network, but rather about how involved structures are activated and how their activity is coordinated (Reddan & Wager, 2017). Most interestingly, it has been shown that the neurosignature of pain differs from the neurosignature of other somatosensory stimulations, such as itch and warmth (Forster & Handwerker, 2014; Wager et al., 2013). Unfortunately, different kinds of pain substantially differ with respect to their underlying neurosignatures. For instance, neurosignatures found in patients with chronic pain substantially differ from those of healthy subjects experiencing acute pain (Apkarian, Baliki, & Geha, 2009), because the central nervous system of subjects who live in persisting pain is continuously reorganized as the brain’s morphology, plasticity and chemistry change over time (Kuner & Flor, 2016; Schmidt-Wilcke, 2015). At most, therefore, we can state that a particular coordination of neural activity is sufficient to distinguish a particular kind of pain from certain non-pain phenomena. However, there seems to be no single neurosignature that is necessary for pain to emerge. We have arrived at the dilemma that makes pain such a frustrating object of research. On one hand, researchers mostly agree that all and only pains are best defined by means of them being subjectively experienced as pains. On the other hand, cognitive scientists are unable to identify a single set of neural processes that capture the circumstances under which all and only pains are experienced as such. Thus, the scientific community has been unable to provide an informative and generalizable account of pain. Two solutions to this dilemma have been offered in the literature. The first solution involves relinquishing the notion of pain as a certain kind of phenomenal experience, which is an antecedence for most cognitive scientists. Instead, neuroscientific data alone are supposed to be the primary criterion for the identification of pain (e.g. Hardcastle, 2015). This solution therefore eliminates the first part of the dilemma. There are two main problems faced by this solution. Firstly, neural data do not reveal the function of neural structures, networks or signatures by themselves. The function of these neural characteristics are only revealed by their being correlated with some sort of additional data (which, in the case of pain, is typically the subject’s qualification of their own experience as pain). Thus, removing the subjective aspect from pain is analogous to biting the hand that feeds you. Secondly, serious ethical problems arise when subjective experience is no longer treated as the decisive criterion for the identification of pain. Because neural data may differ from the subjective qualification, this approach may lead to a rejection of medical support for patients that undergo a phenomenal experience of pain. This is a consequence that the majority of contemporary researchers are – for good reasons – unwilling to take (Davis et al., 2018). As a second solution, one might relinquish the idea that it is possible to develop a single theory of pain. Instead, researchers should focus on the development of separate theories for separate kinds of pain (see, for instance, Jennifer Corns, 2016, 2017). An analogy might illustrate this approach. The gem class ‘jade’ is unified due to the apparent properties of the respective stones, such as color and texture. However, in scientific terms the class of jade is composed of jadeite and nephrite, which are of different chemical compositions. Thus, it is possible to develop a theory that enables a distinct characterization with far-reaching generalizations for either jadeite or nephrite, but not for jade itself (which lacks a sufficient and necessary chemical composition). Similarly, this solution to the pain dilemma holds that all and only pains are unified due to their phenomenal experience as pain, but they cannot be captured in terms of a single scientific theory. Instead, we need a multiplicity of theories for pain which refer to those subclasses that reveal a necessary and sufficient neural profile. This solution avoids the methodological and ethical problems faced by the first solution because it is compatible with pains being defined as a certain subjective mental phenomenon. However, because this solution denies that it is possible to develop a single theory of pain, the phenomenon that the scientific community is interested in studying could not thereby be completely accounted for. If we did develop multiple theories of pain (one for acute pain and one for chronic pain, say), it is far from clear that these theories could explain why all and only pains are subjectively experienced as pain. At best, this might explain why certain cases are acute or chronic pains, but not why they are both pains. What is missing is a theoretical link that connects the different kinds of pain that, according to this solution, emerge only as independent neural phenomena in separated theories. In terms of the previous analogy, we need something which plays the role of the resemblances in chemical composition between jadeite and nephrite that explains why both of them appear as ‘jade’. I would like to offer a third solution to the dilemma which avoids the concerns faced by the first solution, and which provides the missing theoretical link required by the more promising second solution. This is to hold a family resemblance theory of pain. The idea of family resemblance comes from Ludwig Wittgenstein (1953) (although he develops this idea with respect to the meaning of concepts rather than the properties of natural phenomena). A family resemblance theory of pain takes the phenomenal character of pain to unify all and only pains; one’s own subjective experience of pain as such is the criterion of identification that picks out members of the ‘family’ of pain. Moreover, the family resemblance theory of pain denies the presence of an underlying sufficient and necessary neural condition for pain; there is no neural process that distinctively and essentially characterizes pain. Thus, the subjective qualification identifies all and only cases of pain, although they do not share any further necessary or sufficient neural feature. Nonetheless, a family resemblance theory further claims that it is still possible to develop a scientifically useful neurally-based theory of pain that accounts for the phenomenon that the scientific community is interested in. For this third solution, all and only those phenomena that are experienced as pain are connected through a structure of systematic resemblances that hold between their divergent neural profiles. For instance, consider, again, acute and chronic pain. Both are experienced as pain, and they are substantially different from each other from a neural perspective when directly compared. However, the transformation from acute to chronic pain is a gradual process, whereby the respective duration of pain correlates with the extent of differences in their neural profile (Apkarian, Baliki, & Geha, 2009). Thus, the neural process of a pain’s first occurrence is relatively similar to its second occurrence, which itself only slightly differs from its third occurrence, and so forth, until it has transformed into some completely different neural phenomenon. This connection of resemblances over time enables us, however, to explain why subjects experience all of these kinds of pain as pain: acute and chronic pain are bound together under the family resemblance theory through the resemblance relations that hold between the variety of pains that connect them. Moreover, the family resemblance theory motivates the investigation of pain’s resemblance relations which might prove theoretically as well as practically useful. In further developing research projects of this kind, it appears plausible that, for instance, pains that are more similar to each other are more responsive to the same kind of treatment, even though they do not share a necessary and sufficient neural core property. Understanding the gradual transition within the resemblance relations that lead from acute to chronic pain might also offer new possibilities of intervention. Thus, instead of developing a separate theory for different kinds of pain, this third approach motivates the investigation of the diversity of neural profiles that occur within the family of pain and of the exact structure of their resemblance relations, and indeed first steps in this direction are already being taken (e.g. Roy & Wager, 2017). In sum, when it comes to mental phenomena, such as pain, the underlying neural substrate reaches a complexity and diversity which prevents the identification of necessary and sufficient neural conditions. The family of pain therefore constitutes a frustrating research object. However, we do not need to throw out the baby with the bathwater and relinquish the definition of pain as a certain kind of mental phenomenon, or the idea of a scientifically useful theory of pain. Of course, a family resemblance theory will be limited with respect to its discriminative and predictive value, since it acknowledges that there is no necessary or sufficient neural substrate for pain. However, it is the most reductive theory of pain that can be developed in accordance with recent empirical data, and which can account for the fact that all and only pains are experienced as pain. Apkarian, A. V, Bushnell, M. C., Treede, R.-D., & Zubieta, J.-K. (2005). Human brain mechanisms of pain perception and regulation in health and disease. European Journal of Pain, 9(4), 463–484. Apkarian, A. V., Baliki, M. N., & Geha, P. Y. (2009). Towards a theory of chronic pain. Progress in Neurobiology, 87(2), 81-97. Apkarian, A. V., Bushnell, M. C., & Schweinhardt, P. (2013). Representation of pain in the brain. In S. B. McMahon, M. Koltzenburg, I. Tracey, & D. C. Turk (Eds. ), Wall and Melzack’s Textbook of Pain (6th ed., pp. 111–128). Philadelphia: Elsevier Ltd.
Corns, J. (2016). 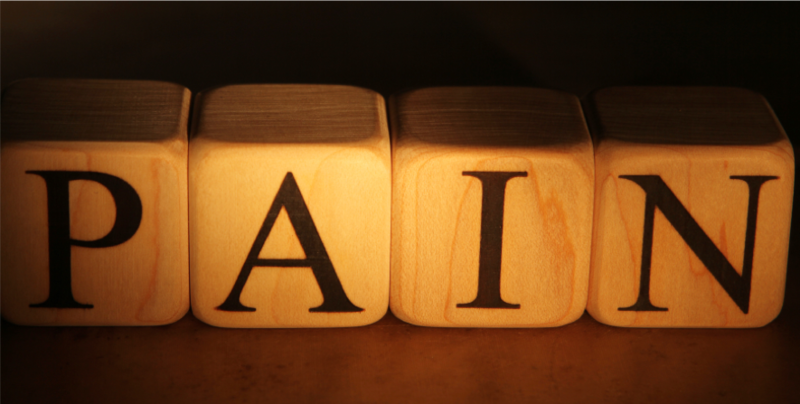 Pain eliminativism: scientific and traditional. Synthese, 193(9), 2949–2971. Corns, J. (2017). Introduction: pain research: where we are and why it matters. In J. Corns (Ed. ), The Routledge Handbook of Philosophy of Pain (pp. 1–13). London; New York: Routledge. Davis, K. D., Flor, H., Greely, H. T., Iannetti, G. D., Mackey, S., Ploner, M., Pustilnik, A., Tracey, I., Treede, R.-F., & Wager, T. D. (2018). Brain imaging tests for chronic pain: medical, legal and ethical issues and recommendations. Nature Reviews Neurology, in press. Forster, C., & Handwerker, H. O. (2014). Central nervous processing of itch and pain. In E. E. Carstens & T. Akiyama (Eds. ), Itch: Mechanisms and Treatment (pp. 409–420). Boca Raton (FL): CRC Press/Taylor & Francis. Hardcastle, V. G. (2015). Perception of pain. In M. Matthen (Ed. ), The Oxford Handbook of Philosophy of Perception (pp. 530–542). Oxford: Oxford University Press. IASP Subcommitte on Classification. (1986). Pain terms: a current list with definitions and notes on usage. Pain, 24(suppl. 1), 215–221. Kuner, R., & Flor, H. (2016). Structural plasticity and reorganization in chronic pain. Nature Reviews Neuroscience, 18(1), 20–30. Mochizuki, H., & Kakigi, R. (2015). Central mechanisms of itch. Clinical Neurophysiology, 126(9), 1650-1660. Peyron, R., García-Larrea, L., Grégoire, M. C., Costes, N., Convers, P., Lavenne, F., Maugière, F., Michel, D., & Laurent, B. (1999). Haemodynamic brain responses to acute pain in humans. Sensory and attentional networks. Brain, 122(9), 1765-1779. Reddan, M. C., & Wager, T. D. (2017). Modeling pain using fMRI: from regions to biomarkers. Neuroscience Bulletin, 34(1), 208–215. Roy, M., & Wager, T. D. (2017). Neuromatrix theory of pain. In J. Corns (Ed. ), Routledge Handbook of Philosophy of Pain (pp. 87–97). London; New York: Routledge. Schmidt-Wilcke, T. (2015). Neuroimaging of chronic pain. Best Practice and Research: Clinical Rheumatology, 29(1), 29–41. Starr, C. J., Sawaki, L., Wittenberg, G. F., Burdette, J. H., Oshiro, Y., Quevedo, A. S., & Coghill, R. C. (2009). Roles of the insular cortex in the modulation of pain: insights from brain lesions. The Journal of Neuroscience : The Official Journal of the Society for Neuroscience, 29(9), 2684–2694. Tracey, I. (2011). Can neuroimaging studies identify pain endophenotypes in humans? Nature Reviews. Neurology, 7(3), 173–181. Wager, T. D., Atlas, L. Y., Lindquist, M. A., Roy, M., Woo, C.-W., & Kross, E. (2013). An fMRI-based neurologic signature of physical pain. The New England Journal of Medicine, 368(15), 1388–1397. Wartolowska, K. (2011). How neuroimaging can help us to visualize and quantify pain? European Journal of Pain Supplements, 5(2), 323–327. Wittgenstein, L. (1953). Philosophical investigations. G. E. M. Anscombe & R. Rhees (Eds.). Oxford: Blackwell Publishing. How can I credibly commit to others? Imagine that you plan to go to the gym with your friend Kate. You decide together to meet in the locker room at 6pm. Why would you expect that Kate will honour this agreement to meet you at the gym? Now, imagine that at 5.30pm you discover that some other friends are gathering at 6pm, and you would love to join them. What restrains you from joining them, even if this is now your preferred option? Your answers to these kinds of dilemmas that are faced in everyday life will probably involve some reference to the fact that a commitment was in place between you and Kate. The notion of a commitment is worth investigating, in part, because it applies to such a wide variety of cases: we are committed to our partners, our faith, our work, our promises, our goals, and even ourselves. Although there is an obvious similarity between all these situations, I will restrict this post to instances of interpersonal commitment, namely those commitments that are made by one individual to another individual (cfr. Clark 2006). According to a standard philosophical definition of interpersonal commitment, a commitment is a relation among one committed agent, one agent to whom the commitment has been made, and an action which the committed agent is obligated to perform (Searle 1969; Scanlon 1998). The ability to make and assess interpersonal commitments is crucial in supporting our prosocial behaviour: being motivated to comply with those courses of action that we have committed to, and being able to assess whether we can rely on others’ commitments, enables us to perform a wide range of jointly coordinated and interpersonal activities that wouldn’t otherwise be feasible (Michael & Pacherie, 2015). This ability requires psychological mechanisms that induce individuals to follow rules or plans even when it is not in their short-term interests: this can sustain phenomena from the inhibition of short-term self-interested actions to the motivation for moral behaviour. I will focus on one key, yet underappreciated, aspect of this relation which sustains the whole act of committing: how the committed agent gives assurance to the other agent that she will perform the relevant action. That is, how she makes her commitment credible. Making a commitment can be defined as an act that aims to influence another agent’s behaviour by changing her expectations (e.g. my committing to help a friend influences my friend’s behaviour, insofar as she can now rely on my help), and by this act the committer gains additional motivation for performing the action that she committed to (Nesse 2001; Schelling 1980). The key element in all of this is credibility: how do I credibly persuade someone that I will do something that I wouldn’t do otherwise? And why would I remain motivated to do something that is no longer in my interest to do? Indeed, a dilemma faced by recipients in any communicative interaction is determining whether they can rely on the signal of the sender (i.e. how to rule out the possibility that the sender is sending a fake signal) (Sperber et al., 2010). Likewise, in a cooperative context the problem for any agent is how to distinguish between a credible commitment and a fake commitment, and how to signal a credible commitment without being mistaken for a defector (Schelling, 1980). The most persuasive way to make my commitment credible is to discard alternative options in order to change my future incentives, such that compliance with my commitments will remain in my best interests (or be my only possible choice). Odysseus instructing his crew to tie him to the mast of the vessel and to ignore his future orders is one strong example of committing to resist the Sirens’ call in this manner; avoiding coffee while trying to quit smoking (when having a cigarette after a coffee was a well-established habit) is another example. How can we persuade others that our commitments are credible when incentives are less tangible, and alternative options cannot be completely removed? Consider a marriage, in which both partners rely on the fact that the other will remain faithful even if future incentives change. Emotions might be one way of signalling my willingness to guarantee the execution of the commitment (Frank 1998; Hirshleifer 2001). If two individuals decide to commit to a relationship, the emotional ties that they form ensure that neither will reconsider the costs and benefits of the relationship. Likewise, if, during a fight, one individual displays uncontrollable rage, she is giving her audience reason to believe that she won’t give up the fight even if continuing to fight is to her disadvantage. One reason that emotions are taken to be credible is because they are allegedly hard to convincingly fake: some studies suggest that humans are intuitively able to recognize the appropriate emotions when observing a face (Elfenbein & Ambady, 2002), and to some extent humans are able to effectively discriminate between genuine and fake emotional expression (Ekman, Davidson, & Friesen, 1990; Song, Over, & Carpenter, 2016). Formalising a commitment by making promises, oaths or vows is another way of increasing the credibility of your commitment. Interestingly, with such formalised declarations people not only manifest an emotional attachment to the object of the commitment; they also signal a willingness to put their reputation at risk. This is because the more public the commitment is (and the more people are aware of the commitment), the higher the reputational stakes will be for the committed individual. Securing a commitment by altering your incentives, by risking your reputation, or by expressing it via emotional displays are importantly similar: the original set of material payoffs for performing each action changes, because now the costs of smoking or untying yourself from the mast of a vessel are too high (if it is even still possible to pay these costs). But we can imagine the emotional costs paid in case of a failure (e.g. the disappointment from slipping back into our undesirable habit of smoking), as well as the social costs (e.g. damage to our reputation as a reliable individual), as incentives to comply with the action that was committed to (Fessler & Quintelier 2014). Fig.1 Payoff matrix of the decision to cheat on your partner: p is the pleasure you get out of cheating, whereas m is the material costs paid in such cases (e.g. a costly divorce), r is the reputational costs and e is the emotional burden that will be paid in such cases. When p is not higher than the sum of r, m and e, and the individual accurately predict the likelihood of these outcomes, we’ll have a situation in which breaking a commitment is not worthwhile. Consistent with the idea that commitments change your payoff matrix (see Fig.1), several studies have shown that commitments facilitate coordination and cooperation in multiple economic games. Promises were found to increase an agent’s trustworthy behaviour as well as her partner’s predictions about her behaviour in a trust game (Charness and Dufwenberg 2006), and they were found to increase one’s rates of donations in a dictator game (Sally 1995; Vanberg 2008). Spontaneous promises have also been found to be predictive of cooperative choices in a Prisoner’s Dilemma game (Belot, Bhaskar & Van de Ven 2010). The willingness to be bound to a specific course of action (e.g. as Ulysses) has also been found to be highly beneficial in Hawk-Dove and Battle-of-Sexes games, as committed players are more likely to obtain their preferred outcomes (Barclay 2017). Interestingly, the payoff structures that an agent faces when they make a commitment is similar to the payoff structure of a threat: If you are involved in a drivers’ game of chicken, the outcome you want is the one in which you don’t swerve. But your partner prefers the outcome in which she does not swerve, and the worst outcome would be the one in which the two cars crash because neither of you swerved. The key factor is, again, whether you can credibly signal to the other driver that you won’t spin the wheel, no matter what. Some of the same means by which credibility can be conveyed in cases commitment apply to threats as well. For instance, one efficacious way by which you can credibly persuade the other driver is by removing the steering wheel and throwing it out of the window, thereby physically preventing yourself from changing the direction of your car (Kahn 1965); another is by playing a war of nerves, conveying the idea that you are so emotionally connected to your goal that you would be willing to pay the highest cost if necessary. Threat is an interesting phenomenon to consider when investigating the role of credibility in commitment because it might help us to understand how commitment works, and how threat and commitment might have evolved in similar fashion. What leads a non-human animal to credibly signal an intention to behave in a certain way to its audience, and what lead its audience to rely on this signal, is highly relevant for investigating commitment. It is still uncertain just how threat signals have stabilized evolutionarily, given that a selective pressure for faking the threat would also be evolutionarily advantageous (Adams & Mesterton-Gibbons 1995). 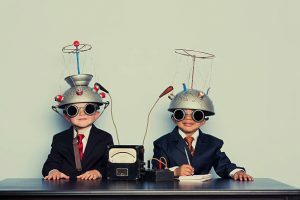 The same selective pressure apply to human threats and commitments: if the goal is to signal future compliance to an action in order to change the audience’s behaviour (by changing her expectations), what motivates us to then comply to that signal instead of, say, simply taking advantage of the change in our audience’s behaviour? In other words, the phenomenon of commitment is intrinsically tied to the problem of recognising (and maybe even producing) fake signals, and deceiving others, just as in the case of making a threat. That being said, it is worth keeping in mind that the phenomenon of threat differs importantly from the phenomenon of commitment, insofar as the former does not entail any motivation for prosocial behaviour. In this respect, the phenomena of quiet calls and natal attraction, in which animals signal potential cooperation or a disposition not to engage in a fight, are also worth investigating further for the sake of better understanding how credibility can be established in the case of commitment (Silk 2001). Most of our social life is built upon commitments that are either implicit or explicitly expressed. We expect people to do things even in the absence of a verbal agreement to do so, and we act in accordance with these expectations. Investigating the factors that carry this motivational force, such as credibility, is the next big challenge in better grasp the complexities of this important notion, and would help us to better understand its ontogenetic and phylogenetic development. Adams, E. S., & Mesterton-Gibbons, M. (1995). The cost of threat displays and the stability of deceptive communication. Journal of Theoretical Biology, 175(4), 405–421. Barclay, P. (2017). Bidding to Commit. Evolutionary Psychology, 15(1), 1474704917690740. Belot, M., Bhaskar, V., & van de Ven, J. (2010). Promises and cooperation: Evidence from a TV game show. Journal of Economic Behavior & Organization, 73(3), 396-405. Charness, G., & Dufwenberg, M. (2006). Promises and Partnership. Econometrica, 74, 1579–1601. Clark, H. H. (2006). Social actions, social commitments. In S.C. Levinson, N.J. Enfield (Eds. ), Roots of human sociality: Culture, cognition and interaction, (pp. 126-150). New York: Bloomsbury. Ekman, P., Davidson, R. J., & Friesen, W. V. (1990). The Duchenne smile: Emotional expression and brain physiology: II. Journal of Personality and Social Psychology, 58(2), 342–353. Elfenbein, H. A., & Ambady, N. (2002). On the universality and cultural specificity of emotion recognition: A meta-analysis. Psychological Bulletin, 128(2), 203–235. Fessler, D. M. T., & Quintelier, K. (2014). Suicide Bombers, Weddings, and Prison Tattoos. An Evolutionary Perspective on Subjective Commitment and Objective Commitment. In R. Joyce, K. Sterelny, & B. Calcott (Eds. ), Cooperation and its evolution (pp. 459–484). Cambridge, MA: The MIT Press. Frank, R. H. (1988). Passion within reason. New York, NY: W.W. Norton & Company. Hirshleifer, J. (2001). On the Emotions as Guarantors of Threats and Promises. In The Dark Side of the Force: Economic Foundations of Conflict Theory (pp. 198–219). Cambridge, MA: Cambridge University Press. Kahn, H. (1965). On Escalation: Metaphors and Scenarios. New York, NY: Praeger Publ. Co.
Michael, J., & Pacherie, E. (2015). On Commitments and Other Uncertainty Reduction Tools in Joint Action. Journal of Social Ontology, 1(1). Nesse, R. M. (2001). Natural Selection and the Capacity for Subjective Commitment. In R. M. Nesse (Ed. ), Evolution and the Capacity for Commitment (pp. 1–43). New York, NY: Russell Sage Foundation. Sally, D. (1995). Conversation and cooperation in social dilemmas a meta-analysis of experiments from 1958 to 1992. Rationality and society, 7(1), 58-92. Schelling, T. C. (1980). The Strategy of Conflict. Cambridge, MA: Harvard University Press. Searle, J. R. (1969). Speech Acts: An essay in the philosophy of language. Cambridge, MA: Cambridge University Press. Silk, J. B. (2001). Grunts, Girneys, and Good Intentions: The Origins of Strategic Commitment in Nonhuman Primates. In R. M. Nesse (Ed. ), Evolution and the Capacity for Commitment (pp. 138–157). New York, NY: Russell Sage Foundation. Song, R., Over, H., & Carpenter, M. (2016). Young children discriminate genuine from fake smiles and expect people displaying genuine smiles to be more prosocial. Evolution and Human Behavior, 37(6), 490–501. Sperber, D., Clément, F., Heintz, C., Mascaro, O., Mercier, H., Origgi, G., & Wilson, D. (2010). Epistemic vigilance. Mind and Language, 25(4), 359–93. Vanberg, C. (2008). Why Do People Keep Their Promises? An Experimental Test of Two Explanations. Econometrica, 76(6), 1467–1480. Indeed, marriage itself may be a way of increasing the likelihood that a commitment will be respected in the future. This is because formalising the relationship in this manner increases the exit costs of a relationship. We differ markedly in our attitudes towards the future and past. We look forward in anticipation to tonight’s tasty meal or next month’s sunny holiday. While we might fondly remember these pleasant experiences, we don’t happily anticipate them once they’re over. Conversely, while we might dread the meeting tomorrow, or doing this year’s taxes, we feel a distinct sort of relief when they’re done. We seem to also prefer pleasant experiences to be in the future, and unpleasant experiences to be in the past. While we can’t swap tomorrow’s meeting and make it have happened yesterday, we might prefer that it had happened yesterday and was over and done with. Asymmetries like these in how we care about the past and future can seem to make a lot of sense. After all, what’s done is done, and can’t be changed. Surely we’re right to focus our care, effort and attention on what’s to come. But do we sometimes go too far in valuing past and future events differently? In this post I’ll consider one particular temporal asymmetry of value that doesn’t look so rational, and how its apparent irrationality speaks against certain metaphysical ways of explaining the asymmetry. Eugene Caruso, Daniel Gilbert, and Timothy Wilson, investigated a temporal asymmetry in how we value past and future events (2008). Suppose that I ask you how much compensation would be fair to receive for undertaking 5 hours of data entry work. The answer that you give seems to depend crucially on when the work is described as taking place. Subjects judged that they should receive 101% more money if the work is described as taking place one month in the future ($125.04 USD on average), compared to one month in the past ($62.20 USD on average). Even for purely hypothetical scenarios, where no one actually expects the work to take place, we judge future work to be worth much more than past work. This value asymmetry appears in other scenarios as well (Caruso et al., 2008). Say your friend is letting you borrow their vacation home for a week. How expensive a bottle of wine do you buy as a thank you gift? If the holiday is described as taking place in the future, subjects select wine that is 37% more expensive. Suppose that you help your neighbour move. What would be an appropriate thank you gift for you to receive? Subjects judge they should receive 71% more expensive bottles of wine for helping in the future, compared to the past. Say you’re awarding damages for the suffering of an accident victim. Subjects judge that victims should be awarded 42% more compensation when they imagine their suffering as taking place in the future, compared to the past. Philosophers like Craig Callender (2017) have become increasingly interested in the value asymmetry studied by Caruso and his colleagues. This is partly because there has been a long history of using asymmetries in how we care about past and future events to argue for particular metaphysical views about time (Prior, 1959). For example, say you hold a ‘growing block’ view of time, according to which the present and past exist (and are therefore ‘fixed’) while future events are not yet real (so the future is unsettled and ‘open’). One might argue that a metaphysical picture with an open future like this is needed to make sense of why we care about future events more than past events. If past events are fixed, they’re not worth spending our time over—so we value them less. But because future events are up for grabs, we reasonably place greater value in them in the present. Can one argue from the value asymmetry Caruso and his team studied, to a metaphysical view about time? Much depends on what features the asymmetry has, and how these might be explained. When it comes to explaining the temporal value asymmetry, Caruso and his team discovered that it is closely aligned to another asymmetry: a temporal emotional asymmetry. More specifically, we tend to feel stronger emotions when contemplating future events, compared to contemplating past events. These asymmetries are correlated in such a way as to suggest the emotional asymmetry is a cause of the value asymmetry. Part of the evidence comes from the fact that the emotional and value asymmetry share other features in common. For example, we tend to feel stronger emotions when contemplating our own misfortunes, or those of others close to us, than we do contemplating the misfortune of strangers. The value asymmetry shares this feature. It is also much more strongly pronounced for events that concern oneself, compared to others. Subjects judge their own 5 hours of data entry work to be worth nearly twice as much money when it takes place in the future, compared to the past. But they judge the equivalent work of a stranger to be worth similar amounts of money, independently of whether the work is described as taking place in the future or in the past. The same features that point towards an emotional explanation of the value asymmetry also point away from a metaphysical explanation. The value asymmetry is, in a certain sense, ‘perspectival’—it is strongest concerning oneself. But if metaphysical facts were to explain why future events were more valuable than past ones, it would make little sense for the asymmetry to be perspectival. After all, on metaphysical views of time like the growing block view, events are either future or not. If future events being ‘open’ is to explain why we value them more, the asymmetry in value shouldn’t depend on whether they concern oneself or others. Future events are not only open when they concern me – they are also open when they concern you. So the metaphysical explanation of the value asymmetry does not look promising. If we instead explain the value asymmetry by appeal to an emotional asymmetry, we can also trace the value asymmetry back to further asymmetries. Philosophers and psychologists have given evolutionary explanations of why we feel stronger emotions towards future events than past events (Maclaurin & Dyke, 2002; van Boven & Ashworth, 2007). Emotions help focus our energies and attention. If we generally need to align our efforts and attention towards the future (which we can control) rather than being overly concerned with the past (which we can’t do anything about), then it makes sense that we’re geared to feel stronger emotions when contemplating future events than past ones. Note that this evolutionary explanation requires that our emotional responses to future and past events ‘overgeneralise’. Even when we’re asked about future events we can’t control, or purely hypothetical future events, we still feel more strongly about them than comparative past events, because feeling more strongly about the future in general is so useful when the future events are ones that we can control. A final nail in the coffin for a metaphysical explanation of the value asymmetry comes from thinking about whether subjects take the value asymmetry to be rational. I began with some examples of asymmetries that do seem rational. It seems rational to prefer past pains to future ones, and to feel relief when unpleasant experiences are over. Whether asymmetries like these are in fact rational is a topic of controversy in philosophy (Sullivan, forth. ; Dougherty, 2015). Regardless, there is strong evidence that the value asymmetry that Caruso studied is taken to be irrational, even by subjects whose judgements display the asymmetry. The methodology Caruso used involved ‘counterbalancing’: some subjects were asked about the future event first, some were asked about the past event first. When the results within any single group were considered, no value asymmetry was found. That is, when you ask a single person how they value an event (say, using a friend’s vacation home for a week) they think its value now shouldn’t depend on whether the event is in the past or future. It is only when you compare results across the two groups that the asymmetry emerges (see Table 1). It’s as if we apply a consistency judgement and think that future and past events should be worth the same. But when we can’t make the comparison, we value them differently. This strongly suggests that the asymmetry is not being driven by a conscious judgement that the future is really is worth more than the past, or by a metaphysical picture according to which it is. If it were, we would expect the asymmetry to be more pronounced when subjects were asked about both the past and the future. Instead, the asymmetry disappears. Table 1: Average amount of money (USD) that subjects judge they would spend on a thank you gift for using a friend’s vacation home in the past or future (Caruso et al., 2008). Investigations into how temporal asymmetries in value arise are allowing philosophers and psychologists to build up a much more detailed picture of how we think about time. It can seem intuitive to think of the past as fixed, and the future as open. Such intuitions have long been used to support certain metaphysical views about time. But, while metaphysical views might seem to rationalise asymmetries in our attitudes, their actual explanation seems to lie elsewhere, in much deeper evolution-driven responses. We may even be adopting metaphysical views as rationalisers of our much more basic emotional responses. If this is right, the value asymmetry not only provides a case study of how we can get by explaining asymmetric features of our experience without appeal to metaphysics. It suggests that psychology can help explain why we’re so tempted towards certain metaphysical views in the first place. Callender, Craig. 2017. What Makes Time Special. Oxford: Oxford University Press. Caruso, Eugene M. Gilbert, D. T., and Wilson, T. D. 2008. A wrinkle in time: Asymmetric valuation of past and future events. Psychological Science 19(8): 796–801. Dougherty, Tom. 2015. Future-Bias and Practical Reason. Philosophers’ Imprint. 15(30): 1−16. Maclaurin, James & Dyke, Heather. 2002. ‘Thank Goodness That’s Over’: The Evolutionary Story. Ratio 15 (3): 276–292. Prior, Arthur. N. 1959. Thank Goodness That’s Over. Philosophy. 34(128): 12−17. Sullivan, Meghan. forth. 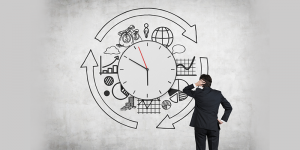 Time Biases: A Theory of Rational Planning and Personal Persistence. New York: Oxford University Press. Van Boven, Leaf & Ashworth, Laurence. 2007. Looking Forward, Looking Back: Anticipation Is More Evocative Than Retrospection. Journal of Experimental Psychology. 136(2): 289–300. Imagine that you are visiting a food market abroad and you want to buy a slice of cake. You know how to say “hello” in the native language, but otherwise your knowledge of the language is limited. When it is your turn to order, you greet the vendor and point at the cake of your choice. The vendor then places his knife on the cake and looks at you to see if you approve of the size of the slice. You quickly shake both of your hands and indicate that you would like a smaller width for the slice using your thumb and index finger. The vendor then cuts a smaller piece for you and you happily pay for your cake. In this example, you achieved successful communication with the help of three gestures: a pointing gesture, a conventional gesture, and an iconic gesture. As humans, we are the only species that engage in the communication of complex and abstract ideas. This abstractness is even present in a seemingly simple example such as indicating the size of a slice of cake you desire. After all, size concepts such as ‘small’ and ‘large’ are learnt during development. What makes this sort of communication possible are the language and gestures that we have at our disposal. How is it that we came to develop language when other animals did not, and what is the role of gesture in this? In this blogpost, I introduce one historically dominant theory about the origins of human language – the gesture-primacy hypothesis (see Hewes, 1999 for an historic overview). According to the gesture-primacy hypothesis, humans first communicated in a symbolic way using gesture (e.g. movement of the hands and body to express meaning). Symbolic gestures are, for example, pantomimes that signify actions (e.g., shooting an arrow) or emblems (e.g., raising an index finger to your lips to indicate “be quiet”) that facilitate social interactions (McNeil, 1992; 2000). The gesture-primacy hypothesis suggests that spoken language emerged through adaptation of gestural communication (Corballis, 2002, Hewes, 1999). Central to this view is the idea that gesture and speech emerged sequentially. Much of the evidence in favour of the gesture-primacy hypothesis comes from studies on nonhuman primates and great apes. Within each monkey or ape species, individuals seem to have the same basic vocal repertoire. For instance, individuals raised in isolation and individuals raised by another species still produce calls that are typical for their own species, but not calls that are typical for the foster species (Tomasello, 2008, p. 16). This suggests that these vocal calls are not learned, but are innate in nonhuman primates and great apes. Researchers believe that controlled, complex verbal communication (such as that found in humans) could not have evolved from these limited innate communicative repertoires (Kendon, 2017). This line of thinking is partly confirmed by failed attempts to teach apes how to speak, and failed attempts to teach them to produce their own calls on command (Tomasello, 2008, p. 17). 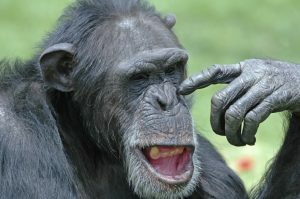 However, the repertoire of ape gestures seems to vary much more per individual than the vocal repertoire (Pollick & de Waal, 2007), and researchers have succeeded in teaching chimpanzees manual actions with the help of symbolic gestures that were derived from American Sign Language (Gardner & Gardner, 1969). Moreover, bonobos have been observed to use gestures to communicate more flexibly than they can use calls (Pollick & de Waal, 2007). The degree of flexibility in the production and understanding of gestures, especially in great apes, makes this communicative tool seem a more plausible medium through which language could have first emerged than vocalisation. In this regard, it is notable that great apes that have been raised by humans point at food, objects, or toys they desire. For example, some human-raised apes point to a locked door when they want access to what’s behind it, so that the human will open it for them (Tomasello, 2008). It is thus clear that human-raised apes understand that humans can be led to act in beneficial ways via attention-directing communicative gestures. Admittedly, there does seem to be an important type of pointing that apes seem incapable of; namely, declarative pointing (i.e., pointing for the sake of sharing attention, rather than merely directing attention) (Kendon, 2017). Nonetheless, gesture seems to be a flexible and effective communicative medium that is available to non-human primates. This fact, and the fact that vocalisations seem to be relatively inflexible in these species, play a significant role in making the gesture-primacy hypothesis a compelling theory for the origins of human language. What about human evidence that might support the gesture-primacy hypothesis? Studies on the emergence of speech and gesture in human infants show that babies produce pointing gestures before they produce their first words (Butterworth, 2003). Shortly after their first birthday, when most children have already started to produce some words, they produce combinations of pointing gestures (point at bird) and one-word utterances (“eat”). These gesture and speech combinations occur roughly three months before producing two-word utterances (“bird eats”). From an ontogenetic standpoint, then, referential behaviour appears in pointing gestures before it shows in speech. Many researchers therefore consider gesture to pave the way for early language development in babies (Butterworth, 2003; Iverson & Goldin-Meadow, 2005). Further evidence concerns the spontaneous emergence of sign language in deaf communities (Senghas, Kita, & Özyürek, 2004). When sign language is passed on to new generations, children use richer and more complex structures than adults from the previous generation, and so they build upon the existing sign language. This phenomenon has led some researchers to believe that the development of sign language over generations could be used as a model for the evolution of human language more generally (Senghas, Kita, & Özyürek, 2004). The fact that deaf communities spontaneously develop fully functional languages using their hands, face, and body, further supports the gesture-primacy hypothesis. Converging evidence also comes from the field of neuroscience. Xu and colleagues (2009) used functional MRI to investigate whether symbolic gesture and spoken language are processed by the same system in the human brain. They showed participants meaningful gestures, and the spoken language equivalent of these gestures. The same specific areas in the left side of the brain lit up for mapping symbolic gestures and spoken words onto common, corresponding conceptual representations. Their findings suggest that the core of the brain’s language system is not exclusively used for language processing, but functions as a modality-independent semiotic system that plays a broader role in human communication, linking meaning with symbols whether these are spoken words or symbolic gestures. In this post, I have discussed compelling evidence in support of the gesture-primacy hypothesis. An intriguing question that remains unanswered is why our closest evolutionary relatives, chimpanzees and bonobos, can flexibly use gesture, but not speech, for communication. Further comparative studies could shed light on the evolutionary history of the relation between gesture and speech. One thing is certain: gesture plays an important communicative role in our everyday lives, and further studying the phylogeny and ontogeny of gesture is important for understanding how human language emerged. And it may also come in handy when ordering some cake on your next holiday! Butterworth, G. (2003). Pointing is the royal road to language for babies. In S. Kita (Ed.) Pointing: Where Language, Culture, and Cognition Meet (pp. 9-34). Mahwah, NJ: Lawrence Erlbaum Associates. Gardner, R. A., & Gardner, B. (1969). Teaching sign language to a chimpanzee. Science, 165, 664–672. Hewes, G. (1999). A history of the study of language origins and the gestural primacy hypothesis. In: A. Lock, & C.R. Peters (Eds. ), Handbook of human symbolic evolution (pp. 571-595). Oxford, UK: Oxford University Press, Clarendon Press. McNeill, D. (Ed.). (2000). Language and gesture. Cambridge, UK: Cambridge University Press.